On-site owners and operators Judy and Dave, are available to assist you to ensure you have a truly wonderful time. Need advice for a rainy day activity? What’s playing at the Drive-In Movie? Need extra pillows? Just ask. 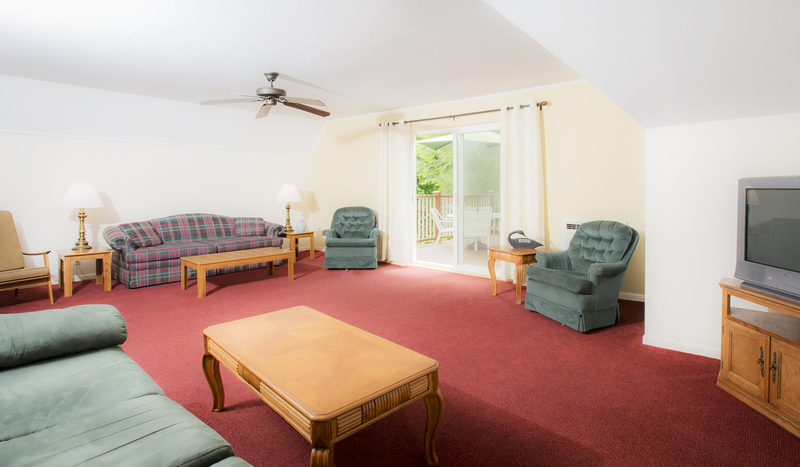 With only 15 units, located on 400 feet of lakefront, you will find Chelka Lodge to be personable and peaceful-and responsive to your needs. 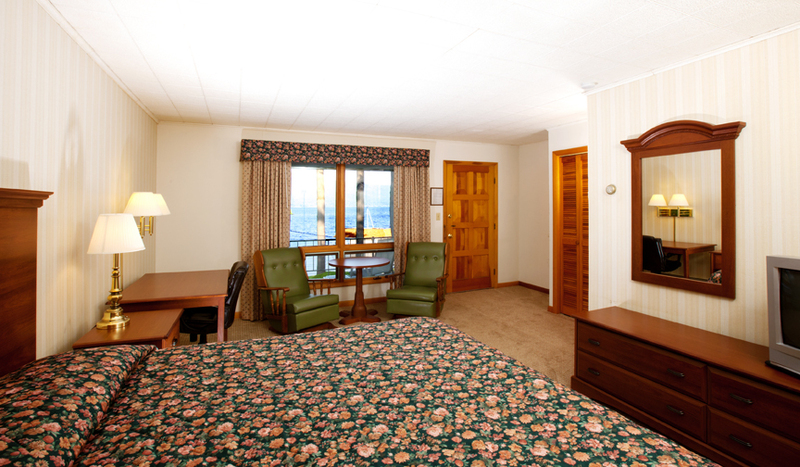 Queen motel units are located on the first floor, with 2 queen beds, panoramic view of lake and mountains. 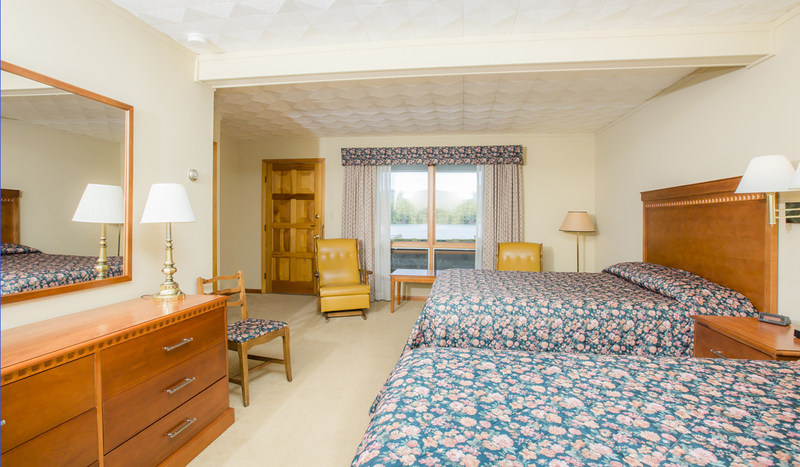 King motel units are located on the second floor, with 1 king bed, panoramic view of lake and mountains. 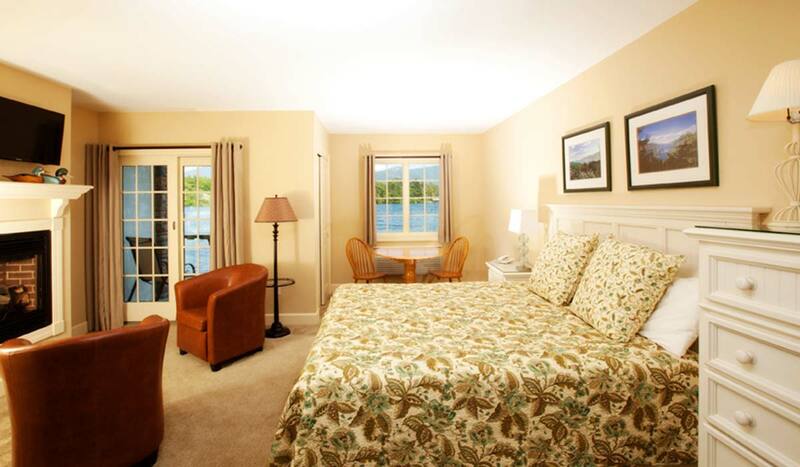 Located in the base of the Lodge, these rooms are just 2 feet from the water’s edge and feature one king bed. These 2 units are in our converted Carriage House, featuring a 1 or 2 bedrooms, full kitchen, living room and covered porch.